Raising funds for your travel can be a unique experience. Typically, when people contribute to crowdfunding campaigns, they get to experience the final product or service for themselves. In this case, you need to convince people to give donations for your trip. Here are 5 things you can do if your crowdfunding campaign isn’t working as expected, or you want to re-launch it a second time. Reach out to local media news outlets who cover travel and crowdfunding, and pitch them your story. Ensure that it is relevant to their target audience. Pitch a story that compels them to be a part of your journey by backing it. For example, on your trip, if you’re visiting a monastery for inner peace, talk about your travel from that perspective. The key to get their attention is to turn your travel into a cause. Make them see how they get to be a part of something that changes people’s lives. Pick any one task that you wish to accomplish on your trip and turn it into a story. On your trip you may visit an orphanage, go scuba diving, and do a lot more. Focus on one part of your travel (e.g helping orphans) and build your story around it. Don’t try to cover everything in your pitch. Lastly, be consistent. Stick to your story no matter whom you’re pitching to. One of the most common mistakes first-time fundraisers do is to set a very high goal for their crowdfunding campaign. Donors want to be a part of successful campaigns. If you set your goal too high, then people may think that you’re trying to make a quick buck or that you’re unlikely to achieve it. It’s better to set conservative goals and over-achieve it. 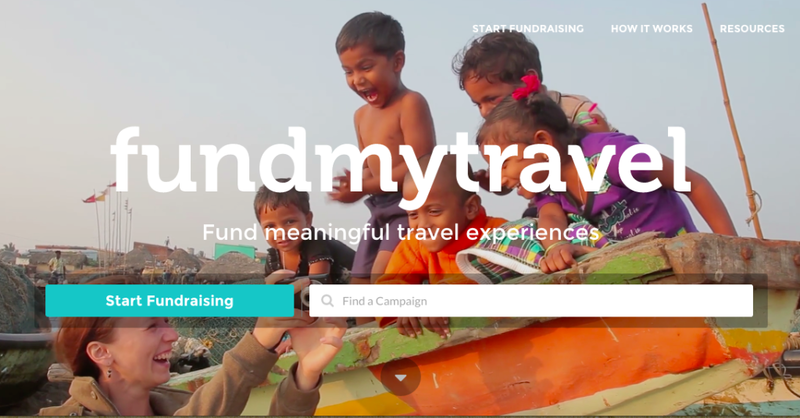 Look for similar travel campaigns on the platform and find out what their goals were, how much they raised, and how they did it. This will give you a fair idea of how much you can raise for your travel. If you haven’t done a lot on social media before, then it’s time to get started. Regularly post updates about your travel to keep your campaign fresh on people’s minds. Lifestyle photos & videos of your travel destination – people who live there, what they do, problems they face. Give your target audience a peek into your life – who you are, what you do, your family & friends. Post photos about how you are preparing for the trip. Give them a behind-the-scenes view of your campaign. Make sure you add a short anecdote or a story to each post to provide a bit of context and engage your audience. No matter what you do, tell your donors about it and ask for their support. Proactive communication will help you get early support and raise a decent amount when you re-launch your campaign. It will also make others feel that your campaign will be a success and persuade them to support it too. Also, make it clear how they can help you in other ways – whether it is by sharing it on Facebook, leaving a comment on your campaign, or mentioning it on other blogs and websites. One of the most effective ways to improve your campaign is by getting feedback from various sources such as other campaign creators, crowdfunding experts, family, friends, donors as well as your target audience. Reach out to your friends and family to help you discover the obvious mistakes you might be making. Thereafter, approach other campaign creators and your target audience. Feedback from other creators can be extremely useful as they already know what has/hasn’t worked in their campaign. 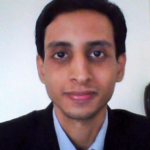 They can also provide useful insights about successful tactics other projects used in your category. However, avoid directly reaching out to them for feedback, as it might appear spammy. The key is to build a relationship before you ask for help. Start by commenting on their posts, and even backing their projects if you like them. This way, they’ll be more willing to analyze your campaign and provide feedback, when you approach them for help. A failing crowdfunding campaign doesn’t mean your travel is doomed. Every travel campaign can be turned into a success, if you tell the right story about it to the right audience. The key is to find out what’s not working in your campaign and fix it, to make your next trip a reality. Sreeram Sreenivasan loves traveling and has visited 10 countries in 4 continents. When he is not traveling, he writes at Fedingo Blog about business growth, and runs Ubiq BI, a BI Platform for SMBs & Enterprises.